Chabad of Poway has become a popular center for Jews of all backgrounds who want to learn more about their Jewish roots. Chabad offers a wide variety of educational and spiritual opportunities, including Torah classes and lectures, Shabbaton dinners, and an array of family and social activities. Traditional Jewish values are brought to life in a joyous, non-judgmental atmosphere. Our beautiful community and Chabad center has been established since 1986 by our Rabbi & Rebbetzin Emeritus Rabbi Yisroel & Devorie Goldstein. The Rabbi's & Rebbetzin's approach is that Torah must be presented and experienced in a modern, relevant context and made available to each individual on their own level. Rabbi Yisroel & Devorie Goldstein are emissaries of the Lubavitcher Rebbe, Rabbi Menachem M. Schneerson. 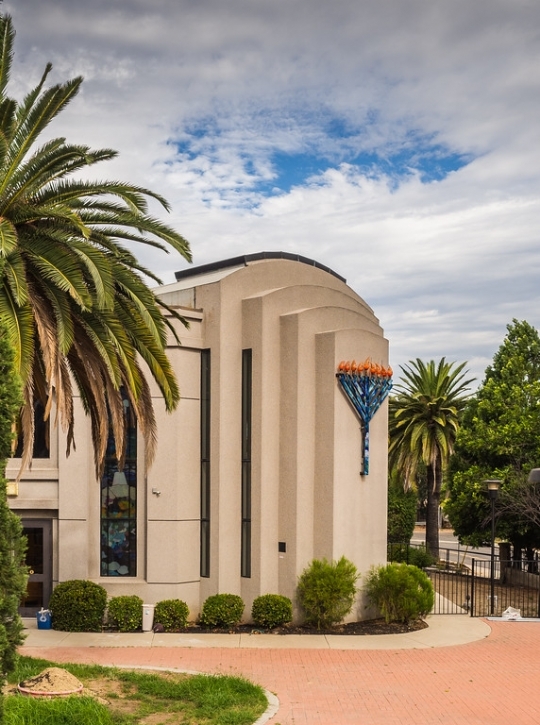 After 30 years of Chabad of Poway's service to the North county Inland Jewish Community, Chabad realized its time to start fresh again with new and young energy. In the Summer of 2015, Rabbi Mendel and Shterna Goldstein moved to Poway from Brooklyn, NY to do just that. Ever since, Chabad has seen a fresh new horizon. 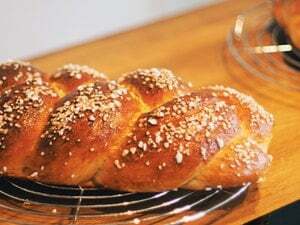 From the new Jewish Lecture Series, Adult education classes to Jewish Women's Circle, Mommy and Me, Kids Menorah Workshop at Home depot, and the Model Matzah Bakery at Albertsons (just to name a few..) Chabad of Poway sees a great future ahead. The Hebrew School Program, under the talented leadership of Rabbi Mendy and Bluma Rubenfeld, translates the Chabad warmth and spirit to the youngsters. The children actually look forward to attending Hebrew School, where they are taught, in addition to Hebrew reading and writing, the meaning of our rich Heritage and the joys of being Jewish. Outings, contests and celebrations add an exciting dimension to the program. The Shul provides a full Bar/Bat Mitzvah program. But Judaism doesn't end there. With the new CTeen Poway initiative every teen in North County has a place to hang out. Rabbi Shuie and Devorah Goldstein have succeed in bringing the local Jewish teens together with amazing programming and fun giving each teen the pride of what it means to be a Jewish teen in the 21st century. Please allow yourself the opportunity to visit and participate in our vibrant congregation. By becoming a partner at Chabad of Poway you will acquire lifelong friendships, an opportunity for spiritual growth, and most importantly a chance to be a part of your Jewish community in San Diego North County Inland. We serve all communities in our area which include (but not limited to): Poway, Rancho Bernardo, 4s Ranch, Del Sur, Santaluz, Rancho Penasquitos, Carmel Mountain, Sabre Springs, Escondido and Ramona. Please feel free to visit us for services or any other program, or just stop in to say hello. For more information or to arrange a meeting with the Rabbi, please call our office at 858-451-0455 or email rabbimendel@chabadpoway.com .